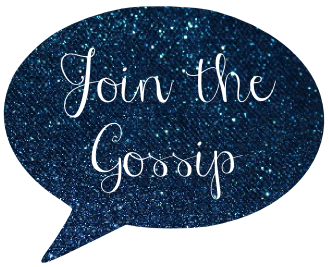 Join The Gossip: Gwen's Still Got It - Settle Down! In case you haven't seen or heard the new No Doubt single "Settle Down" here it is! I'm kinda loving it! What about you? I am so ready for the new album release on September 25. "Push and Shove" is their first real album since Rock Steady in 2001. I saw them tour a few summers ago in the OC, where the band is from, and it was awesome. Can't wait to catch them on the road again soon! And can we take a second to focus on Gwen Stefani? Is she for real? She's turning 43 in October and literally gets prettier with age. Check out these pics from Sunday night's Teen Choice Awards. Back in 2009 I did a post about Gwen's fashion over the years. Check it out! You may just realize how much she's influenced your style over the years - she sure played a role mine! Is it just me or did she lose a lot of weight? But I'm glad she still got it...always liked her and her style. TOTALLY agree - homegirl has it going on!! That is unbelievable that Gwen Stefani is about to be 43! My goodness she looks fabulous. Can't wait for the new album! yes she does! I love her! That song is all over the radio here in Cincinnati! And how is she so beautiful?! I mean really! I hope I look half as good when Im her age! I can't believe she's that old! They way she jumps and runs around on stage!? I can't do that! Hahah. I love No Doubt and can't wait for the album (September is so far away!) and to see them tour again next year. Loved your fashion post about her too! She's so out there, but I love it! I HATE the song. Hate it. With all my heart I hate it. Can we still be friends? I have always loved Gwen's look! It is so unique! I definitely think she's pretty, but I'm not so into the plasticky look she has going on. I bet if her hair was its natural color and she had on very little makeup, a tshirt, and jeans, she'd be gorgeous. I've always wondered what she looks like in a totally natural state. Wow, Gwen looks great! Guess I haven't seen her in the media in a little while. Glad to have just found your blog! Would love if you checked out the crystal bracelet giveaway I have going on! Gawd I love her!!! Not sure how I feel about the song yet but hearing her sing like that takes me back to the good old days. I LOVE her and No Doubt so much!! I am super pumped!! Loving the song and love them!! It's about dang time!! Hope you are feeling better! She TOTALLY still has it! Stunning. oh, how i love gwen! she's so fierce. And I'm so excited when No Doubt got back together... this one sounds great. She really is gorgeous! She doesn't look a day over 30 seriously! I definitely like it and having a feeling that I will grow to love it! She is such a fashionista. I have one of her L.A.M.B. bags! God she looks amazing. I'm so jealous. I hope I look as good as her when I am her age. it's like they never went anywhere. music is tight and everyone looks amazing. gwen is a girl crush of mine. heart her! Wonderful music and gorgeous outfits, she always look SO pretty! Love her and her music.